Trinity UCC of Jasper Announces Construction Project to Provide "Extravagant Welcome"
JASPER -- Keeping in step with the United Church of Christ denomination’s goal to provide an “extravagant welcome” to all, Trinity UCC of Jasper announces a construction project to provide easier access to the sanctuary and main building. The church believes “no matter who you are or where you are on life’s journey” you are welcome! 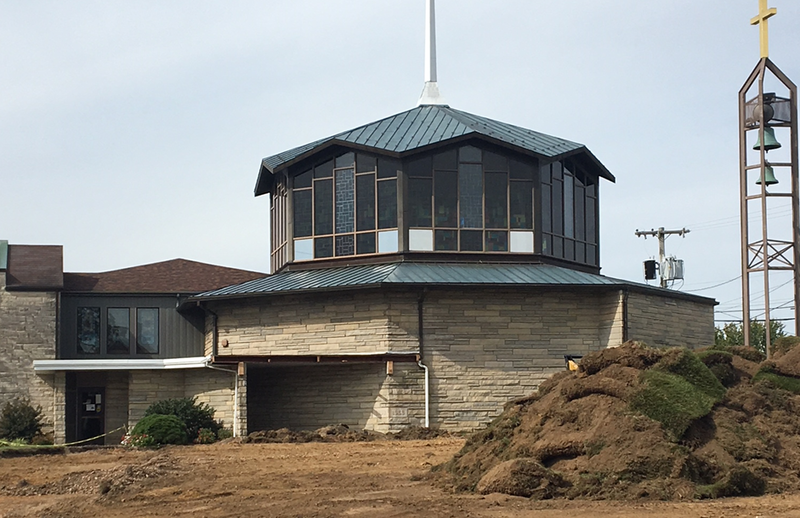 The church has been part of the Jasper community since 1898, and built the present sanctuary in 1966. A major addition west of the sanctuary added classrooms and rooms for community use in 1997. In 2016, the church started a campaign entitled “God’s Home Improvement”, which includes a series of improvements focusing on hospitality to the Jasper community. This present project is the most extensive to date. Now with the planned improvements, 52 years later, the north corner of 8th and Clay Street will change again. The main scope of the project will provide the much needed accessible and visitor parking spots. The project will include a new concrete drive with a relocated entrance and exit. A new wider and taller canopy to facilitate the drop off of people will be added. Jasper Lumber, Inc. is the general contractor and plans to have the project completed by the middle of December, 2018.